First, the new DataSubscriptionList class helps to manage reactive query subscriptions. Using this new class you only need a single cancel() call to unsubscribe from multiple queries. 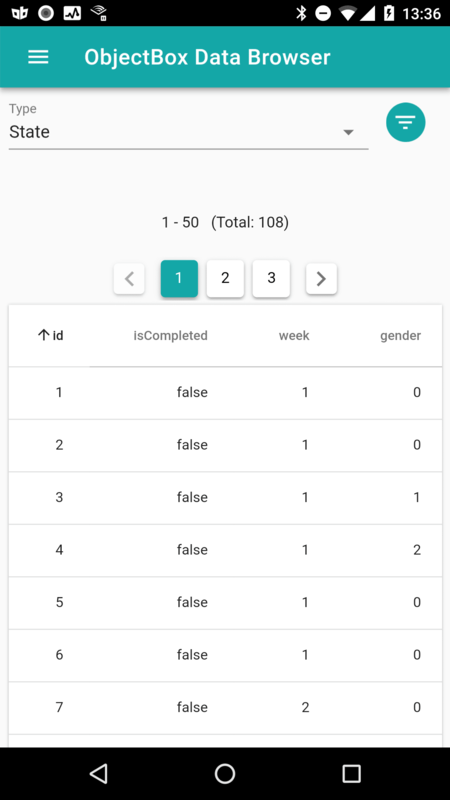 Second, ObjectBox now supports LiveData of the Android Architecture Components. The class ObjectBoxLiveData implements LiveData and thus is an alternative to tracking DataSubscription. For more details on how to use LiveData with ObjectBox, please check the new LiveData documentation. We also added a new project in the ObjectBox examples repository on GitHub. Other improvements include object ID based interactions in the ToMany class. The data browser, which was introduced in version 1.1, now comes with a more compact UI (see screenshot). Check the changelog for details on improvements and fixes. Let us know what you think of the update. Will you use DataSubscription or LiveData? We’re always happy to get your feedback on ObjectBox. Also, we have a small questionnaire that helps us improve ObjectBox based on your wishes.